HURON, S.D. - Two South Dakotans are sponsoring legislation to recognize efforts of the Sioux Code Talkers. Congressman John Thune introduced legislation to honor American Indian war veterans who have never been publicly recognized for their vital service in World War II. Thune is pushing for the United States to fully recognize and award Congressional Gold Medals to the Sioux Code Talkers. State Sen. Ron Volesky, D-Huron, is sponsoring a bill to honor them on a state level. The Sioux Code Talkers were overlooked until just a few years ago. They were honored as part of the unveiling of a Veteran's Memorial on the grounds of the state capitol earlier this year. "It's long overdue and they should be honored," Volesky said. The Congressional Gold Medal is considered the nation's highest and most distinguished civilian award given by Congress. It recognizes a lifetime contribution or a singular achievement. The federal government has not publicly honored the Sioux Code Talkers for their heroic duty because of security concerns. However, recently declassified information now makes it possible. 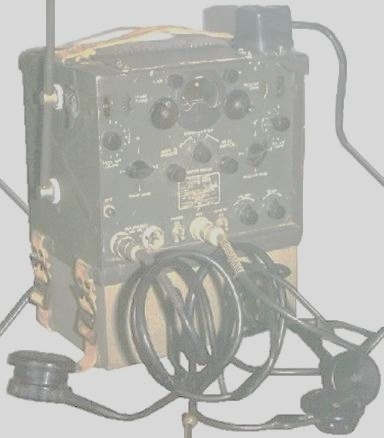 During World War II, about a dozen known Sioux Indians were Army radio operators who used their native Nakota, Lakota and Dakota dialects to transmit strategic messages to foil enemy communications. They served in both the Pacific and European theaters. "It is important for us to honor these veterans whose contributions have, until recently, been ignored," Thune said. "Often sent out on their own to provide communications with headquarters on enemy location and strength, they sometimes spent 24 hours in headphones without sleep or food. Many endured terrible conditions without protection from the enemy. Using three Sioux languages Lakota, Nakota and Dakota, the Sioux Code Talkers were able to communicate messages the enemy was unable to crack." Military commanders credit the code with saving the lives of countless American soldiers and being instrumental to the success of the United States in many battles during World War II. Charles Whitepipe of the Rosebud Sioux Tribe and Clarence Wolfguts of the Oglala Sioux Tribe who served in the South Pacific still live in South Dakota. The medals also would be awarded posthumously to a surviving family member of Sioux Code Talkers Phillip "Stoney" LaBlanc and Eddie Eagle Boy of the Cheyenne River Sioux Tribe, Edmund St. John of the Crow Creek Sioux Tribe, Walter C. John of the Santee Sioux Tribe, Guy Rondell of the Sisseton-Wahpeton Sioux Tribe, John Bear King of the Standing Rock Sioux Tribe, and Iver Crow Eagle Sr. and Simon Brokenleg of the Rosebud Sioux Tribe. "As a member of the House Native American Caucus, I want to honor and recognize these brave, dedicated and talented men for providing a service to our country that was invaluable," Thune said. "By embracing the differences between Indians and non-Indians in language and culture, the U.S. armed forces were able to mesh the heritages to overcome oppressors and save thousands of lives. "These American Indian service men performed a critical service to this country and to the Free World. Their unique skill was given freely and their service was full of courage and ingenuity." It took an act of Congress and a ceremony by President George W. Bush to honor Navajo Code Talkers this summer. Thune is pushing for the same honor for the Sioux Code Talkers. In 1989, the French government awarded Native American Code Talkers its highest honor. More than a half-century after they helped win World War II, the nation has paid tribute to the 29 original Navajo Code Talkers who invented a code in their language that the Japanese could not break. Sioux Code Talkers were among 44,000 Native Americans who served in World War II. More than 12,000 Native Americans fought in World War I. Thousands more served in each conflict since. Today thousands continue to serve as the nation took its forces to Afghanistan.